The US businessman's intervention in UK politics comes with nine days to go until the UK's scheduled departure from the EU. 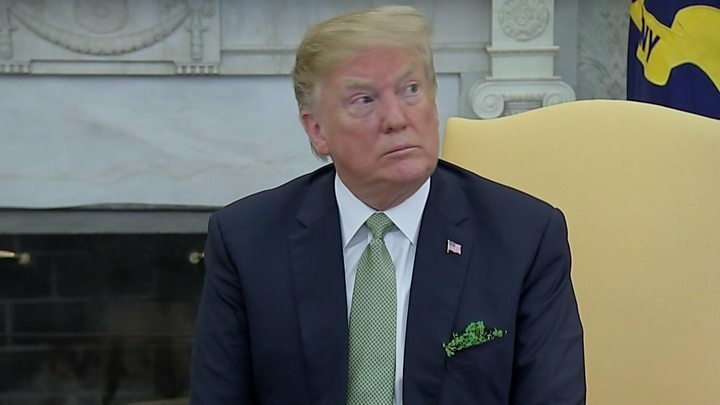 In an interview with Sky News, US National Security Adviser John Bolton said US President Donald Trump wanted a resolution that allowed the US and Britain "to come to trade deals again". He added: "He sees huge opportunity if Britain's status can be resolved." Ms May is writing to the EU to formally ask for Brexit to be postponed, and Downing Street has confirmed the prime minister will not be asking for a long delay. 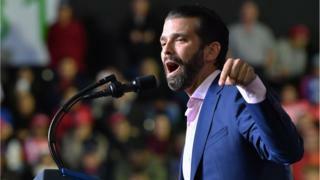 In his editorial piece, Mr Trump Jr - who played a prominent role in his father's election campaign, said: "Mrs May ignored advice from my father, and ultimately, a process that should have taken only a few short months has become a years-long stalemate, leaving the British people in limbo." And again last week, President Trump - who is a supporter of Brexit - told reporters that he gave Mrs May "my ideas on how to negotiate it... and I think [it] would have been successful". He added: "She didn't listen to that, and that's fine. I think it could have been negotiated in a different manner, frankly." Media captionTrump: "I'm surprised at how badly Brexit negotiations have all gone"
Mr Trump Jr, who is executive vice-president of the Trump Organisation, added: "Now, the clock has virtually run out and almost all is lost - exactly as the European elites were hoping.